Westfalia BC70 2 Bike Platform Type. SEARCH OUR SHOP search titles & descriptions. 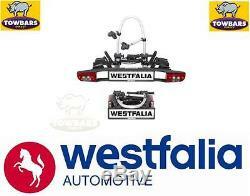 A Westfalia 2 bike cycle carrier which is a highly versatile, fold able, towball mounted carrier system. 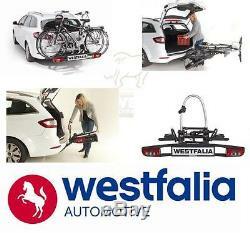 Cycle Carrier Weight: 17.4kg. Maximum Payload: Total 60kg Individual Rail: 30kg. Dimensions: Folded 58cm (W) x 22cm (H) x 69cm (D). Fits cycle tyres with maximum 50mm width. Fits cycle tyres with maximum 60mm width. 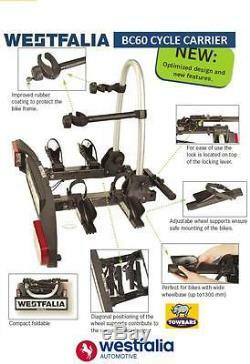 Fits cycle with wheelbase up to 1300mm. Comes complete with road lights prewired with 13 pin plug. Fits all types of cycles including most electric ones. 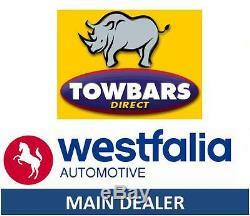 5 Year Guarantee Many accessories available, please enquire. Please note then when the cycles, or any other carried load, obscure the vehicles rear lights or registration number, it is a legal requirement to duplicate these functions rearward of the load. A suitable lighting board should therefore be used. 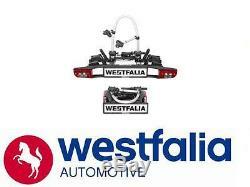 The item "Westfalia BC70 2 Bike Cycle Carrier Towball Towbar Mounted Folding Platform" is in sale since Monday, November 17, 2014. This item is in the category "Sporting Goods\Cycling\Car Racks". 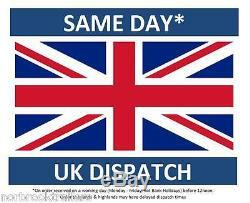 The seller is "norbrooktrailers" and is located in Warrington.